The Allegiance Council (Arabic: هيئة البيعة‎‎ Hay’at al-Bay‘ah; also known as the Allegiance Commission or Allegiance Institution is the body responsible for determining future succession to the throne of Saudi Arabia. It was formed on 7 December 2007 by King Abdullah. At the time of its formation, the Council's intended function was to appoint a Crown Prince once a new King succeeds to the throne. — Chapter 2, Article 5(c) of the Basic Law of Saudi Arabia. The appointment of a successor by the King was usually done with some form of informal consensus among members of the royal family. However, after Prince Abdullah succeeded Fahd as King, the behind-the-scenes battles over the future of the monarchy intensified, particularly between Prince Abdullah and the Sudairi princes, including Prince Sultan and late Prince Nayef. Due to increasing uncertainty of succession beyond Prince Sultan, King Abdullah issued the Allegiance Institution Law in 2006, which formally established the Allegiance Council. The Council gave additional voice to members of the Al Saud when a new King selects his Crown Prince. According to an October 2009 diplomatic cable from the U.S. Embassy in Riyadh, the Al Saud described the Council as a "codification of the unwritten rules that have governed the selection of Saudi rulers since the passing of King Abdulaziz in 1953." The role of the Council was intended to take effect once late Prince Sultan succeeded to the throne. However, in 2009, when he was gravely ill with cancer, late Prince Nayef was appointed Second Deputy Prime Minister (a position for the crown prince in waiting), presumably to keep the position of Crown Prince within the Sudairi faction. This led to uncertainty over the role of the Council. The appointment of late Prince Nayef was openly questioned by Prince Talal. The Council supposedly undertook its duties for the first time when Prince Sultan died in October 2011. One week after his death, King Abdullah announced that the Council had selected Prince Nayef as the new Crown Prince. However, the Council just swore allegiance to Nayef as Crown Prince. Whether or not it actually voted the selection remained unclear. Similar apparent dysfunctionality of the council was also observed in regard to the appointment of Prince Salman as Crown Prince in June 2012. Prince Talal stated that the princes on the Council were not consulted on the succession of Prince Salman and that the Council became ineffective. When King Abdullah died in 2015, Salman became king and Prince Muqrin, the youngest surviving half brother, became Crown prince automatically, having been appointed Deputy Crown Prince a year earlier. — Article 7 of The Allegiance Institution Law. The foundation of the Council was seen as way to diminish the influence of the Sudairi brothers, who could be easily outvoted in the Council. Despite this, the Sudairis are said to have influence over more than half the council members. With the promotion of Crown Prince Sultan's three successors deemed automatic, and the King's writ on the subject of the appointment of the second deputy PM (the honorific "deputy crown prince" being much more recent than the position itself), the Council has proved to be little more than a "rubber stamp". After almost a year with the post of second deputy Prime Minister vacant. Prince Muqrin was formally designated by royal decree in 2013. This meant that he was informally next in line, bypassing several senior princes. In order to make his place in the line of succession permanent and preclude any challenges by any of the dispossessed royals, King Abdullah polled each member of the Allegiance Council individually before announcing Maqrin's new title. The poll, which is considered an official vote, was 75% Yes and 25% No. The royal decree stated that the election “may not be modified or changed in any way or form by any person whoever it may be”, precluding a King Salman from capriciously choosing someone else, which is exactly what would happen three months into the new reign. 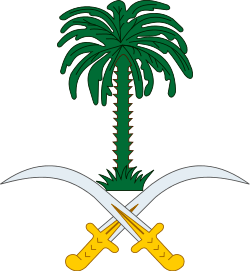 Upon the death of King Abdullah, Prince Muqrin became Crown Prince automatically, and Salman decreed that his full nephew Muhammed bin Nayef become the first of his generation to be in the line of succession, the Council ratified this a few days later unanimously, confirming its position as a rubber stamp. At the end of April 2015, barely three months into his reign, King Salman dismissed Prince Muqrin from his post as Crown Prince. Prince Muhammad was automatically promoted and Prince Mohammed bin Salman was declared Deputy Crown Prince. The Council met the following day to ratify the decision, which it did 28 to 4, with 2 abstentions. The members of the council include surviving sons of Abdulaziz, grandsons whose fathers are deceased, incapacitated or unwilling to assume the throne and the sons of the King and Crown Prince. As of 1 April 2013 the council had 28 members: 9 surviving sons of Abdulaziz and his 19 grandsons, each representing his deceased or incapacitated father. However, the line of Hamoud bin Abdulaziz is not represented in the Council, since he died without a son. One of King Abdulaziz's sons, Prince Fawwaz, was a member at the Council, but died in 2008 without sons. Grandson of Turki (I), Turki bin Faisal, died on 28 February 2009 and was replaced by his brother, Abdullah bin Faisal bin Turki. Bandar bin Musaid also replaced his brother, Abdullah bin Musaid. Prince Talal resigned from the Council three weeks after the appointment of Prince Nayef as Crown Prince in November 2011. His resignation meant one of his sons might take a position on the Council,in the future. In December 2011, Saud bin Nayef was appointed as a member of the Council since his father, late Prince Nayef could not have a seat in the Council due to being then crown prince. The Council was chaired by Prince Mishaal, who had been excluded from the line of succession. Members of the Council swear an oath of allegiance to the King. ↑ "Prince Mishaal to head Allegiance Commission: Saudi launches royal succession committee". Al Arabiya. 10 December 2007. Retrieved 10 November 2012. 1 2 3 4 5 6 Simon Henderson (August 2009). "After King Abdullah: Succession in Saudi Arabia" (PDF). Policy Focus #96. Washington Institute for Near East Policy. Retrieved 2 May 2011. ↑ Henderson, Simon (25 October 2006). "New Saudi Rules on Succession: Will They Fix the Problem?". Policy Watch #1156. Washington Institute for Near East Policy. Retrieved 3 May 2011. ↑ "Still murky". The Economist. 25 November 2010. Retrieved 2 May 2011. 1 2 3 4 5 6 "The Allegiance Institution Law". Royal Embassy of Saudi Arabia, Washington, DC. 20 October 2006. Retrieved 2 May 2011. ↑ Smith, James B. (28 October 2009). "09RIYADH1434:Saudi Succession:Can the Allegiance Commission Work?". Retrieved 22 October 2011. 1 2 3 "Keys to the kingdom: Inside Saudi Arabia's royal family". The Independent. 29 March 2009. Archived from the original on 7 May 2011. Retrieved 3 May 2011. 1 2 3 "When kings and princes grow old". The Economist. 15 July 2010. Archived from the original on 30 April 2011. Retrieved 2 May 2011. ↑ P.K. Abdul Ghafour (29 October 2011). "Allegiance Commission ensures smooth succession". Arab News. Retrieved 21 January 2012. ↑ "How Saudi Arabia picks its kings". Gulf News. Riyadh. Reuters. 17 June 2012. Retrieved 11 August 2012. ↑ Nathaniel Kern; Matthew M. Reed (21 June 2012). "The Crown Prince and the Allegiance Council" (Commentary). Middle East Policy Council. Retrieved 25 September 2012. ↑ "Saudi Allegiance council ineffective: Saudi prince Talal". Islam Times. 21 June 2012. Retrieved 22 June 2012. ↑ Neil MacFarquhar (17 June 2012). "Saudis Seek a Crown Prince and Talk of Other Successors". The New York Times. Beirut. Retrieved 11 August 2012. ↑ "New appointment clarifies line of succession in Saudi Arabia". IHS Global Insight. 4 February 2013. Retrieved 12 April 2013. ↑ "Saudi Arabia: Prince Muqrin in Line for the Throne - Pulitzer Center". Pulitzer Center. Retrieved 2 March 2015. ↑ Kapoor, Talal (1 April 2008). "The Kingdom: Succession in Saudi Arabia (part six)". Datarabia. Retrieved 11 May 2012. ↑ Nathaniel Kerr; Matthew M. Reed (15 November 2011). "Change and succession in Saudi Arabia". Middle East Policy Center. Retrieved 6 April 2012. ↑ "Saudi Succession Developments" (PDF). Foreign Reports Inc. 28 October 2011. Retrieved 25 April 2012. ↑ Alsharif, Asma (26 November 2011). "Senior Saudi royal resigns from Allegiance Council". Reuters. Retrieved 18 November 2011. ↑ Abdul Ghafour, P.K. (6 December 2011). "Saudi Arabia Seeks Global Backing for Palestinians". Arab News. Retrieved 29 April 2012. 1 2 3 "King Abdullah names members of the Allegiance Commission". Royal Embassy of Saudi Arabia, Washington, DC. 10 December 2007. Retrieved 3 May 2011.